Below you may find results from a global ROMS simulation with climatological forcing started from rest. 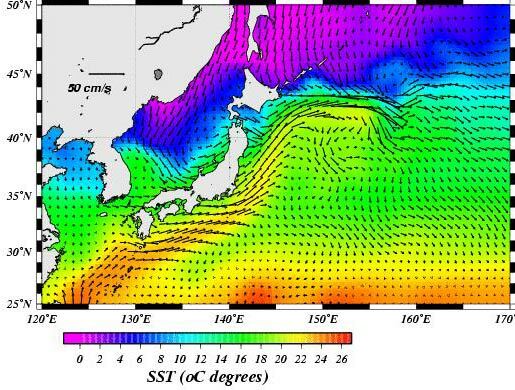 After 12 years spin-up, all main ocean currents are noticeable. Even at depth the Equatorial counter-current is seen flowing eastward. These results/grid/forcing etc are from an early spin-up test in January 2005. Grid and forcing continue to be updated and improved (October 2005). Vertical Resolution: 20 s-levels (terrain-following). Forcing: Currently under climatological forcing (NCEP). 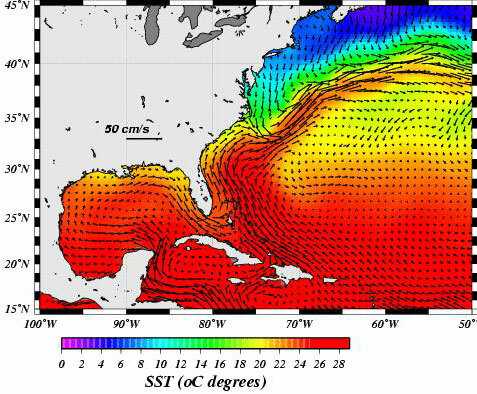 Figure 1: December SST and surface flow for the Gulf Stream, Loop Current, and Labrador Current. 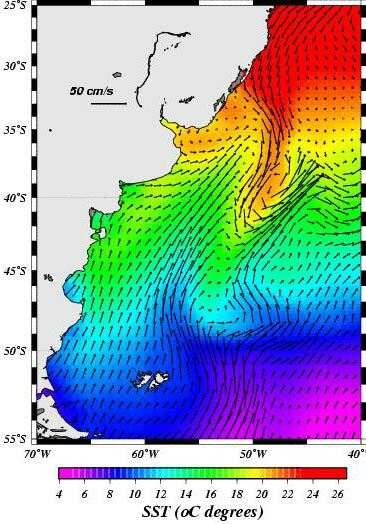 Figure 2: December Kuroshio and Oyashio currents. Figure 3: December Malvinas-Brazil confluence area. 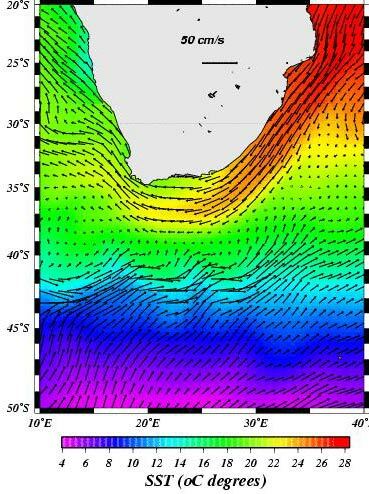 Figure 5: Agulhas and Benguela Currents Northern flank of the ACC (December). 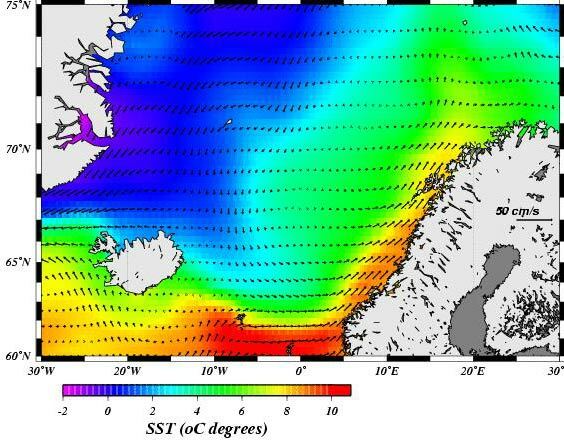 Figure 6: Norwegian and East Greenland Currents (December). Figure 7: Annual mean Salinity of the N. Pacific Intermediate Water (depths range from 300 to 800 m). Definition: Salinity Minimum in a given salinity range. I'm a new user of ROMS and ocean-modeling. Recently I have been running an entire Pacific model with single climatological forcing file and similar grid resolution with donguiyo(Author). I'm interest in the author's result. Would you mind if offering more detail about your simulation such as cpp option、.in—file and so on? Or would you give me some suggestion to my results? This run was done more than 6 years ago. I don't keep the CPP file but you will be able to find some info in Auad (2008), GRL. I'll be happy to take a look at your results. Best, Guillermo. Is it necessary to run the model for 12 years on the purpose of getting a realistic result? I ran that for about 1 year but the result——the flow field is strange and false. Kuroshio is not noticeable. For a Pacific domain, 3-4 years should be enough to get the main features of the upper 400-500 m of the ocean. Could you upload some figures? but not here (i.e., ROMS Results), open a new topic in "ROMS Problems" instead. Guillermo. Actually I have rewritten a new .h file and reset the model. It's expected to have a one-year result tomorrow. If the problem still exists, I will do as you suggest. Mind if I e-mail of MSN you when I open a new topic?